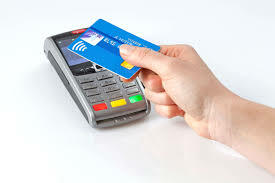 Contactless Payments Market by Device Type and Industry Vertical: Global Opportunity Analysis and Industry Forecast, 2017-2023, the global contactless payments market was valued at $6,734 million in 2016, and is projected to reach at $25,565 million by 2023, growing at a CAGR of 21.2% from 2017 to 2023. In 2016, the mobile devices segment accounted for the highest revenue share in the contactless payments market. Consumers as well as enterprises have increasingly adopted number of ways for convenient and secure payments. One of such medium is a contactless system that has revolutionized the retail and transportation industries in the past few years. 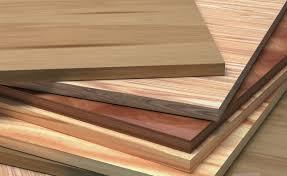 Global Wood Plastic Composites (WPC) Market was valued at $2,551 million in 2016, and is expected to reach at $6,584 million by 2023, registering a CAGR of 12.6% from 2017 to 2023. Asia-Pacific is expected to dominate the market, both in terms of volume and value, and is expected to maintain this trend throughout the forecast period. Ultra-Secure Smartphone Market by Operating System and End User: Global Opportunity Analysis and Industry Forecast, 2017-2023, the global ultra-secure smartphone market was valued at $818 million in 2016, and is projected to reach $3,191 million by 2023, growing at a CAGR of 21.6% from 2017 to 2023. In 2016, the android segment accounted for the highest revenue share in the ultra-secure smartphone market. Rise in customers inclination toward ultra-secure smartphones, its ability to provide better security and reliable transmission of data, and growth in adoption of ultra-secure smartphones for military and commercial applications drive the global ultra-secure smartphone market growth. However, requirement of cooperating handsets and its high price hampers this growth to a certain extent. Android segment is expected to grow at a highest CAGR of 21.70% due to increase in the integrity of the android operating system along with its ability to run on all mobile devices.